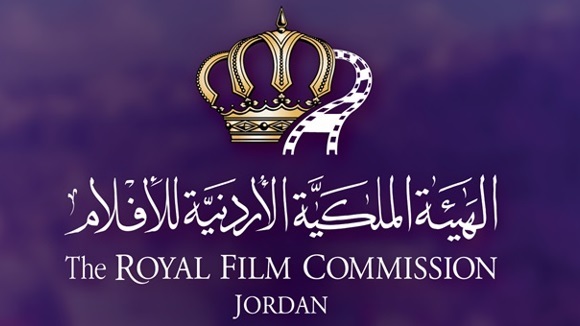 Responsible for managing the event for the Film and Television Career Connection (FTCC), including planning, following-up and implementing all necessary tasks related to the Connection. Manage all details of the event “FTCC”. Coordinate all logistics for FTCC and provide support pre- during and post-event. Draft budget and ensure adherence to it. Responsible for planning layout of booths and all installments required. Coordinate with all departments for the scheduling and participation to FTCC. Coordinate with Communication department on all issues related to marketing the event. Initiate, coordinate and/or participate in all efforts to publicize event. Send out brochures and invitations and manage responses of participating parties. Coordinate for providing equipment, projectors, or any other required technical items. Any other tasks that may arise during preparations for the event. 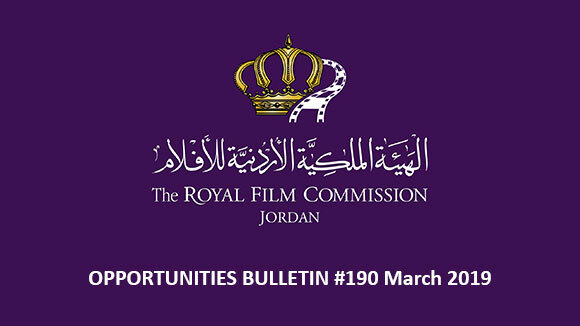 Please send your application to the following email: recruitment@film.jo no later than 31 July 2018, and indicate clearly in the subject of your email the title of the position you are applying for. From November 28 through December 3, 2018, the annual Ajyal Youth Film Festival returns for its sixth anniversary installment, building on the Doha Film Institute’s history of community-based film programming, the success of the Festival’s previous editions, as well as a year-round screening series. 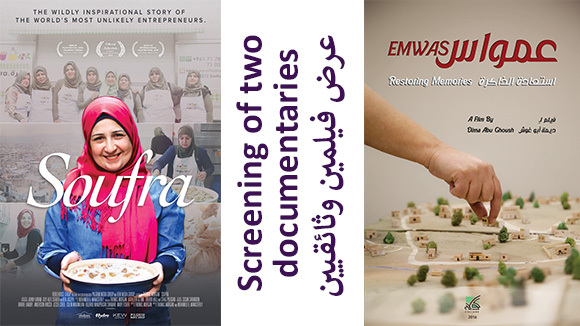 Feature-length and short films from around the world will inspire cultural dialogue among young audiences in Qatar. The six-day Festival will bridge gaps and bring generations together (‘ajyal’ is Arabic for ‘generations’) through activities and events designed to inspire creative interaction among the various sectors of the regional community. The NDU International Film Festival (NDUIFF), is a short film festival founded in 2007 at Notre Dame University-Louaize (NDU), Lebanon. NDUIFF is celebrated annually in November under its constant theme, “The Power of Youth.” As the theme reflects, the Mission of NDUIFF is to (a) promote young filmmakers by screening their films in front of a large audience base, and (b) promote their talents and artistic excellence. NDUIFF accepts both Lebanese and international short films in three categories: Fiction, Documentary, and Animation; applicants may be graduating students or independent filmmakers. Around 80 films compete in different categories. Winners receive awards, certificates and cash prizes. In addition, the festival offers all international accepted participants full accommodation in Beirut, covering their flight and hotel and transportation inside Lebanon. NDUIFF launched in 2015 its first Partial Funding Program to support independent filmmakers by helping them produce short films. This funding program goes hand-in-hand with the Vision and Mission of the NDUIFF, which is to continue moving forward by becoming not only a staunch financial supporter of filmmakers but also a screenplay, film development, and production academy. 1- Short films produced after November 1st, 2016 are eligible for submissions. 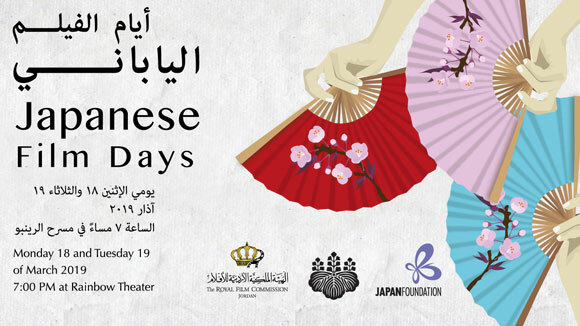 2- Lebanese premiere is a must – films that were screened previously in Lebanon won’t be taken into consideration. 3- Lebanese students must submit via their schools’ administrations. Lebanese film students and independent filmmakers are invited to submit their original work to the NDU International Film Festival (NDUIFF) for the categories of Fiction, Documentary or Animation. Productions of 25 minutes and less will be accepted for the competition. Notre Dame University students’ films will be participating while staying out of competition. 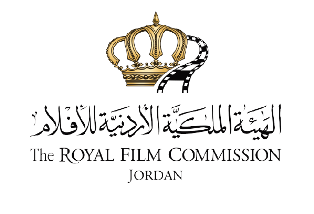 The Arab Fund for Arts and Culture (AFAC) is now accepting applications for grants intended for cinema projects as well as for research projects in the field of the arts – jointly with the Arab Council for the Social Sciences. As part of its 2018 general grants programme, AFAC aims to support fiction film projects of all kinds: shorts, medium- and feature-length titles, animations, essay films, hybrid works and experimental productions, among others. AFAC offers funding for the development, production and post-production phases. Documentaries are excluded from this call. Film projects are eligible to apply for a development (up to $10,000), production (up to $50,000) or post-production grant (up to $30,000). 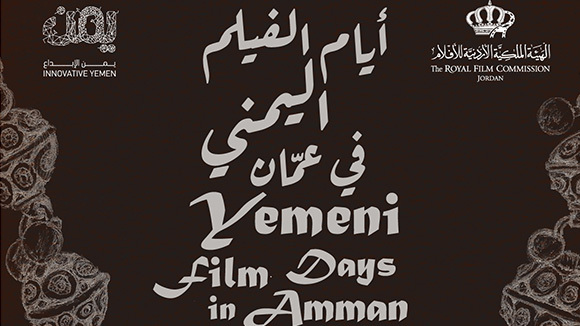 The call is open to Arab directors and producers living in the Arab region as well as the diaspora. 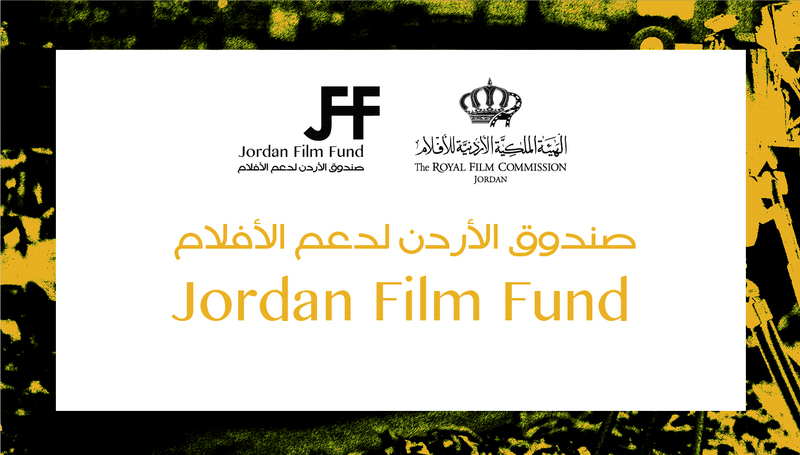 A non-Arab producer can apply for a grant provided an Arab director is attached to the project. The AFAC-ACSS research grants are a funding opportunity intended to support research on all art practices across disciplinary boundaries and methodological approaches to key themes of concern to, and in, the Arab region (i.e. countries belonging to the League of Arab States). What distinguishes arts research from the making of art? Arts research is dynamic, interdisciplinary and critical, and involves systematic investigation, analysis and speculation around a specific research topic with a chosen mode of enquiry. Grants are available to individual researchers (up to $15,000), teams of researchers or collectives (up to $25,000), and institutions (up to $35,000). This opportunity is restricted to researchers who are citizens/nationals of an Arab country residing in the Arab region, and institutions based in the Arab region. The project’s time frame should not exceed 18 months for individuals, teams and collectives (starting in December 2018 and ending in May 2020) and 24 months for institutions (starting in December 2018 and ending in December 2020). Applicants are required to submit an online application form and a narrative proposal (including appendices) on AFAC’s website. If you are already a registered user on AFAC’s website, please log in with your username and password. Once you log in, you will be directed to the applications page. Applications are open until August 1st 2018. The mission of the Toronto Independent Film Festival is to screen the best of low-budget independent film from around the world. The Toronto Indie is a celebration of talented filmmakers working on shoestring budgets. The Toronto Indie runs every September and offers a fantastic opportunity for undiscovered filmmakers to showcase their achievements in a space where all the key players of the film industry have gathered. · All films and genres made with independent spirit and low budgets. The application deadline for ZFF MASTER CLASS 2018 is approaching. Interested candidates for the 5-day programme can still submit their application up to and including August, 7 2018. The ZFF Master Class (October 3 to 7, 2018), organized within the framework of the 14th Zurich Film Festival, offers approximately 20 emerging directors, scriptwriters or producers the unique opportunity to explore their ideas in detail with notable experts and to share experiences with other young filmmakers from all over the world during an intensive 4-day programme. Besides first-hand learning from international industry experts, participation in the ZFF Master Class is free of charge and includes moreover an industry accreditation for the 14th Zurich Film Festival, free accommodation and invites to numerous events, dinners and networking opportunities. WHO THIS PROGRAM IS AIMED AT? The program is aimed at foreign artists from all around the world who wish to pursue a research project in Paris during a minimum period of three consecutive months, and that are supported by one or more cultural partners. These partners associated with the artist may be institutions of the French cultural network abroad (Institut français, Cultural Services of the French Embassies, and Alliance française) and / or French or foreign cultural structures (art centers, associations, multidisciplinary laboratories, galleries, museums, theaters, production centers for dance and circus, concert halls, festivals abroad, etc.). WHAT TYPE OF RESIDENCY PROJECTS DOES IT SUPPORT? Freely selected projects: Artists may present a research project on a topic/theme of their choice. All the following areas are concerned: Architecture/landscape/urban planning, street arts/circus/puppets, digital arts, visual arts, comic arts, cinema/movies/video, curating projects, dance/performances, design, literature, youth book, fine arts and crafts, modern music and jazz, classical and contemporary music, contemporary art performances, photography, theatre, musics for films and video games, virtual reality. The Institut français in Paris provides artists with a studio-apartment at the Cité internationale des arts. The partner associated with the artist, in France or abroad, finances the artist's travel and / or living expenses and submits the artist's application. · Explicitly indicate how it intends to showcase the work of the laureate during or following the residency. Submissions to the 2019 Sundance Film Festival are now open. The festival will take place from January 24 until February 3, 2019. The World Cinema competitions at Sundance are dedicated to the discovery of new films and new voices from around the world. The World Cinema Dramatic Competition showcases a selection of new films from emerging filmmakers. Submitted films must be World Premieres or International Premieres (films that have not screened outside their country of origin) and must have a running time of 50 minutes or more. Accepted films are eligible for jury prizes and an audience award. The World Cinema Documentary Competition showcases a selection of new films from visionary documentary filmmakers around the world. Submitted films must be World Premieres or International Premieres (films that have not screened outside their country of origin) and must have a running time of 50 minutes or more. Accepted films are eligible for jury prizes and an audience award. In addition to the Competition, international films are considered for the following sections: Park City at Midnight (genre films), New Frontier (experimental films) and Premieres (world premieres from established filmmakers). The festival does not accept open submissions for the Spotlight category (films that have screened at other international festivals). Deadline dates and submission fees vary based on category of entry. If your project is not received by the deadline for which you have registered, you will be required to make an additional payment to bring your account up to date. To view the requirements for each submission category, please go online. establishing Thessaloniki as a meeting place between filmmakers and Greek audiences. This year the 59th Festival is to be held from the 1st to the 11th of November, 2018. The following sections are included within the framework of the Festival. - Official international competition for first and second full-length fiction films. - Official international competition for Virtual Reality (VR) films. - An international informative section, Open Horizons, which is a panorama of full-length narrative films from around the world. - An Out of Competition section for first and second full-length fiction films. - The Film Forward section which includes experimental and art films, characterized by its innovative and formally-daring approach to cinema. - A special section dedicated to feature and short films from the Balkan region under the name “Balkan Survey”. - A Special Screenings section. Forum, the Agora Works in Progress and more industry activities. An international 3-member jury will award the VR Golden Alexander. The deadline for submissions is ?July 20th, 2018.